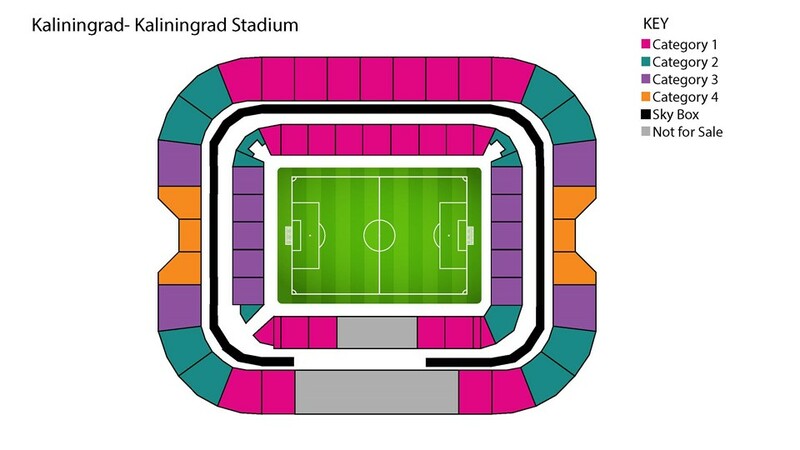 Kaliningrad Stadium map is divided into 4 categories. Category 1 tickets are highest priced tickets. These tickets are located in the prime areas of the stadium from where one can easily watch the players. From these locations, you can see the whole ground. While category 2 and 3 are located outside the category 1. Category 4 tickets are most affordable and these are reserved for local citizens. All the categories include lower and upper tiers. 1. West Stand: Seating is started from the west stand. West stand includes A-101 to A-111 in the lower tier and A-401 to A-411 in the upper tier. 2. South Stand: South stand includes D-112 to D-118 in the lower tier and D-412 to D-418 in the upper tier. 3. East Stand: East stand starts from C-119 to C-129 in the lower tier and C-419 to C-429 in the upper tier. 4. 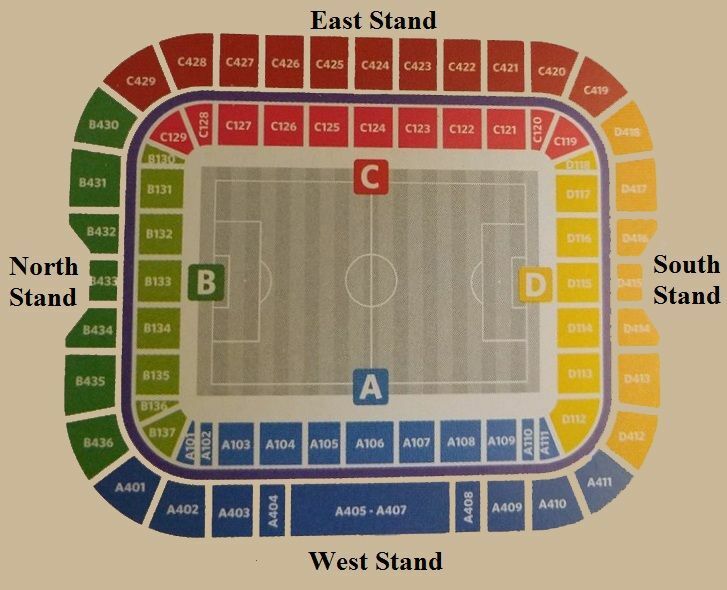 North Stand: North stand starts from B-130 to B-137 in the lower tier and B-430 to B-436 in the upper tier. How To Reach Kaliningrad Stadium? This stadium is also known as “Arena Baltika” and it is located on the Oktyabrsky Island which is situated in the Pregolya River. The stadium is situated at the 20 minutes walking distance from Kaliningrad’s biggest landmark “Konigsberg Cathedral“. The main railway station is located in the southern part of the city and you have to do 30 minutes walking to reach stadium from the railway station. If you want to travel by bus then there are a number of buses are available from Cathedral to victory square.